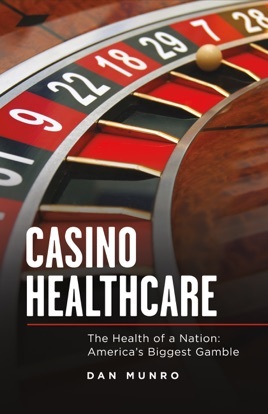 Author Michael Lewis was recently interviewed by Steve Kroft on 60 Minutes and a quote from that interview was the inspiration and influence for Casino Healthcare. What he was referencing was high-speed trading on Wall Street, but the quote could just as easily be applied to healthcare. In fact, it's tailor-made. This book is not a theoretical policy book for the elite, but one that penetrates the blanket of fog surrounding a major – and growing – household expense. With the research and style of an investigative journalist, the book is easy to understand and accessible by every American. Americans have a right to be angry with how the U.S. healthcare system has been hijacked for revenue and profits. One analyst recently categorized it as “legalized extortion on a national scale.” In the same way that Michael Lewis exposed the complexity of high-speed trading on Wall Street, Casino Healthcare will expose the U.S. healthcare system for what it really is – a giant casino of epic proportions where the risks are both personal and nothing less than the health of an entire nation.